So the other day I was milling around my kitchen looking for a late night sweet. I generally don’t keep dessert items like ice cream and cookies in my house simply because I will eat them… all of them. So really I was search for something sweet that wouldn’t make me hate myself, which of course had me stumped… until I noticed the old fashioned oats sitting on top of my fridge. It occurred to me that if oatmeal is often prepared as a sweet and hearty breakfast, why can’t it also be a dessert? Hell, everyone loves oatmeal cookies. 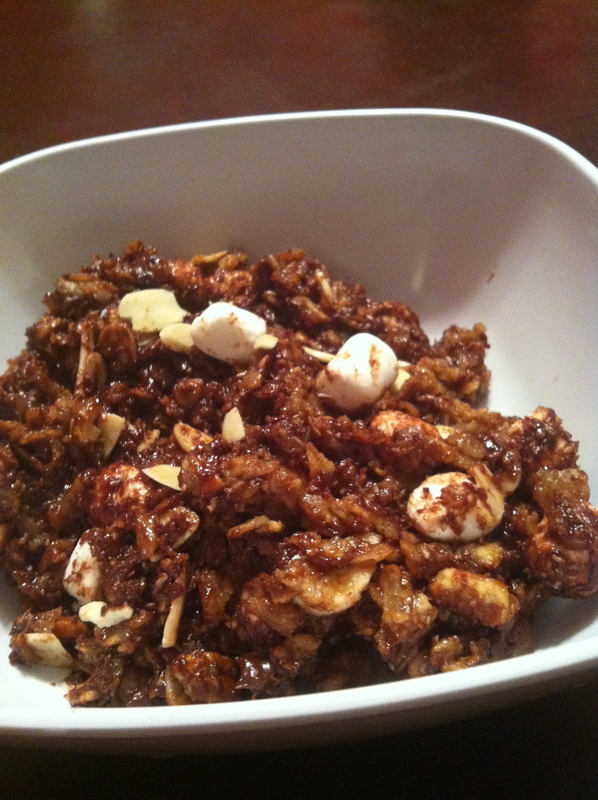 So, with the help of some ingredients I had laying around my kitchen, Dessert Oatmeal was born. Cooked in almond milk and maple syrup and finished with almond butter, chocolate chips, and nuts, this hearty on-the-fly dessert will satisfy your late night cravings with minimal guilt.